Only Kit on the market to use a dual method to study Hepatic Steatosis: Quantifies Triglycerides (colorimetric/fluorometric) and visualizes lipid droplets by staining with Oil Red O. Features & Benefits • Only Kit on the market to use a dual method to study Hepatic Steatosis: Quantifies Triglycerides (colorimetric/fluorometric) and visualizes lipid droplets by staining with Oil Red O. 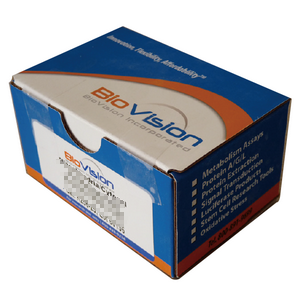 • The kit provides enough reagents for 100 assays for triglyceride quantitation and staining reagents enough for two 96-well plates, two 6-well plates, or four 100 mm culture dishes. • Easy and simple protocol. This kit can be used to screen and evaluate steatosis risk of drug candidates and to study the mechanism of steatosis development. • Chloroquine is included as a positive control for inducing steatosis in liver cells, such as HepG2.